Good Earth Beauty, a unique beauty shop carrying only natural and organic beauty products that are NOT tested on animals. All products are chosen and personally tested by their staff. Product lines include Cosmetics, Bath & Body, Hair Care, items for Babies, Pets, and more. A few of the chocolate products. See more HERE. This was my first time trying out a cream type of eyeliner. The eyeliner from Good Earth Beauty is dual ended with a lighter and darker color. I got the chocolate color and I was really pleased with it. It went on very easy. I didn't have to roughly push it across my eyelid like some eye liners. In fact, it took me a couple of tries before I got the hang of it. I really liked the look this eyeliner from Good Earth Beauty gave me. As far as wear, it lasted. I didn't feel like a few hours later I needed to touch it up. Even though this went on very easy, I could still pick my look. As in, how dark or light I wanted it. A more causal look or a night out. It washed off with my usual eye make-up remover without an issue. Good Earth Beauty has a wide range of products to check out. 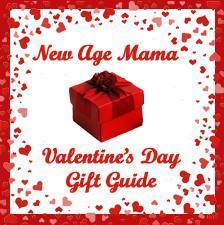 Be sure to check out all of their CHOCOLATE products for Valentines Day. One lucky winner is going to receive a prize of a product from their Chocolate line. To enter, just fill in the Giveaway Tools form below. This giveaway will 2/26/16 and is open to the US only. The winner will be notified via email and will have 48 hours to reply. Thanks again to Good Earth Beauty for offering this fantastic prize. 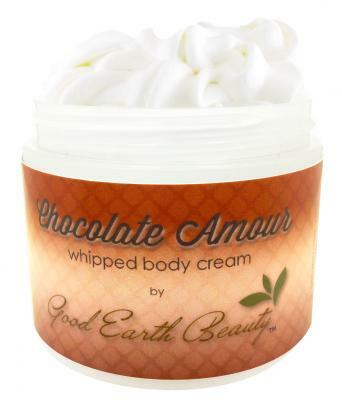 Body Cream Chocolate Amour by .Good Earth Beauty Exclusives sounds so amazing to use. I would love to try the perfume,chocolate dipped strawberries,I would love to see the reactions I get while wearing it. I like the chocolate body cream by good earth. The chocolate dipped strawberries body cream sounds so lovely! The Flavor Extract - White Chocolate Pure Extract is my favorite. I like the lip balm chocolate. For me, it's a tie between the chocolate soap and the chocolate eye liner. My favorite would probably be the eye liner though (by a smidge). I'd love the chocolate lip balm. Body cream chocolate amour is my favorite. 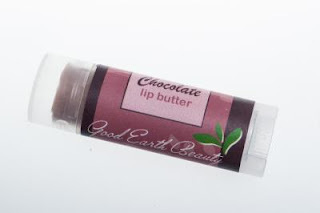 My favorite is the Lip Balm Chocolate by Good Earth! My favorite is the Eye Liner Cream Stick Dual Ended Chocolate Champagne by 100% Pure. 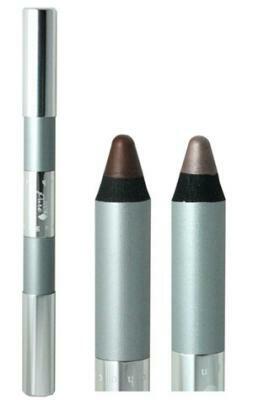 I really like the Eye Liner Cream Stick Dual Ended Chocolate Champagne. I've been looking for some new eyeliner. I would love to try the Body Cream Chocolate Dipped Strawberries. My favorite would be the Body Cream Chocolate Dipped Strawberries. I love the Eye Liner Cream Stick Dual Ended Chocolate Champagne . Body Cream Chocolate Dipped Strawberries by .Good Earth Beauty Exclusives sounds wonderful! I'd love to try out the chocolate dipped strawberries body cream! Soap Chocolate Espresso Moisturizing by .Good Earth Beauty Exclusives. I like the Body Cream Chocolate Dipped Strawberries, sounds divine. I would like to try the Soap Chocolate Espresso Moisturizing by .Good Earth Beauty Exclusives. The chocolate body cream looks great, although I love all the products! I like the Eye Liner Cream Stick Dual. I think I would like the lip balm chocolate. The chocolate espresso moisturizing bar looks divine!